Gensource Potash Corporation — Engcomp. Stay Curious. Gensource Potash Corporation (Gensource) is advancing the development of a vertically integrated, small-scale potash production facility in its “Vanguard Area” in south-central Saskatchewan. 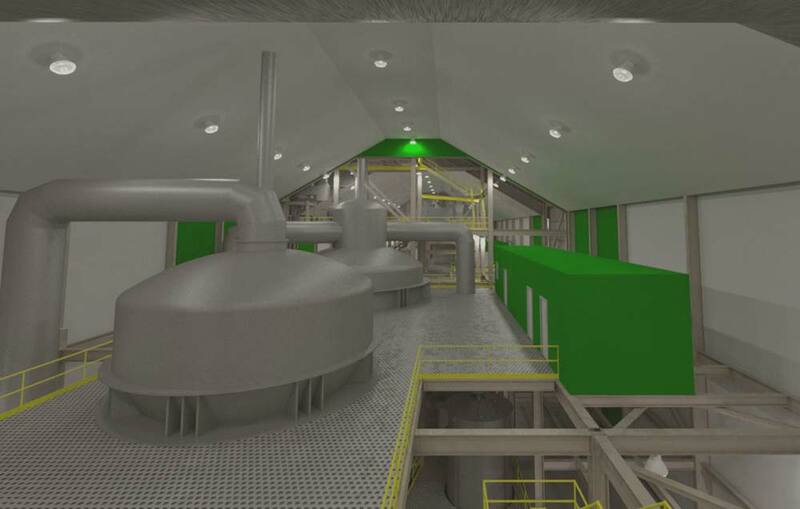 The Vanguard One project is the first “module” to be developed by Gensource, and is designed to produce 250,000 tonnes of saleable potash per year by employing selective solution mining techniques combined with proprietary processing enhancements. The process plant is referred to as a module, since it is designed to be the smallest economically attractive production size and can be replicated as required to increase production as market demand increases. Key benefits of this approach are that a Gensource module is significantly smaller than typical potash mines, thereby integrating well with Saskatchewan rural communities and not overwhelming the potash market with massive new supply. Additionally, a Gensource module has a drastically reduced environmental impact compared to typical potash operations, since no salt tailings are produced through selective mining, no brine ponds are required, and brackish water can be used for mining. For more information on Gensource, and the Vanguard One project, visit: www.gensource.ca. This integrated team approach enabled the engineers, designers, fabricators, and construction contractor to work together early in the design and costing of the project and optimize key project elements, while ensuring constructability throughout project execution. This approach resulted in the development of a solid capital cost estimate and project schedule and, as a result, bolstered confidence in the overall outcome. Engcomp was the lead engineering firm responsible for the process plant, on-site infrastructure, off-site infrastructure, cost engineering (cost estimating, risk, scheduling), and engineering project management. The results of Gensource’s Vanguard One Feasibility Study validated the technical and economic viability of the Project, even with today’s low potash prices, all while setting a new bar for environmental responsibility in the development of new potash production.